When a splurge is in order, book a getaway at Winvian Farm, where 18 themed cottages are nestled on 113 acres. One has a whole real helicopter inside, outfitted with a bar and a TV (it looks even wilder than it sounds); another is a treehouse perched 35 feet above the forest floor. Cabins each have a deep Jacuzzi tub, a shower, a fireplace and a private outdoor space, like a screened-in patio or deck. The resort has a small outdoor pool and a spa on-site, a lounge with a pool table and board games, and a formal restaurant that serves sophisticated international cuisine. You can also help yourself to two bikes with your cabin name plate. From the family behind beverage and office-supplies distributor Crystal Rock Water comes the nearby Litchfield Distillery, which offers free tours and tastings of its award-winning bourbon, vodka and gin. You might question the quality of blueberry vodka and coffee bourbon, but don’t knock it until you’ve tried it! 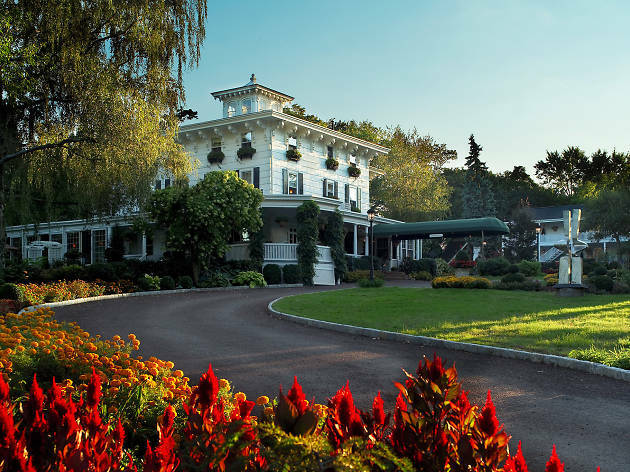 Owned by boutique hotel brand Relais and Châteaux, the Grace Mayflower Inn is set among the rolling hills of Litchfield County. It is elegant but not stuffy, with a stunning destination spa (for guests only), indoor and outdoor pools, innovative dining and beautiful gardens. There are 30 accommodations in four building; some have a balcony, a fireplace and/or a sitting area. In warm weather, guests can take advantage of a putting green and tennis courts; in winter, the hotel can provide guests with cross-country skis and snowshoes in winter so they can explore its 58 acres. Just down the road is the Institute for American Indian Studies, which has unflashy exhibits that focus on the history and customs of areal Native Americans; special exhibitions include the artwork, crafts and clothing of other First Nations cultures. On one of the most charming, historic New England streets you will ever see, the Inn at Stonington has 18 rooms in two buildings that are separated from the water by a parking lot (and beyond that, a restaurant), but the inn’s tasteful decor (if you weren’t a fan of wallpaper before, you will be after staying) and ambience make up for that. 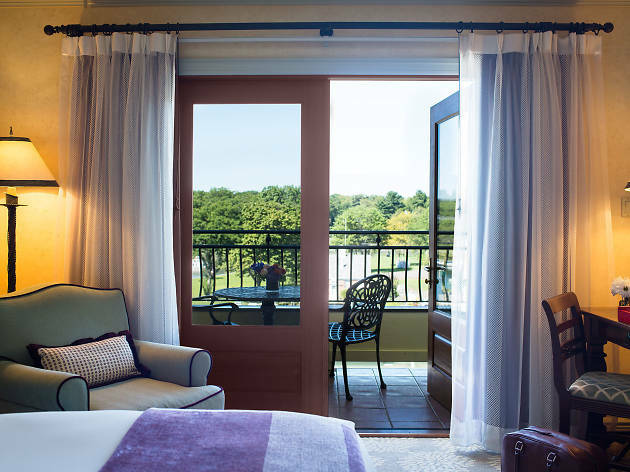 Steps from a postage-stamp-size beach and the country’s first lighthouse museum, the inn offers extras like Google Home in every room, and binoculars in rooms with water views. By the way, if you are in your room and seated or recumbent, you don’t see the parking lot. Rent a kayak from the New England Science and Sailing Foundation next door to paddle around this picturesque area. 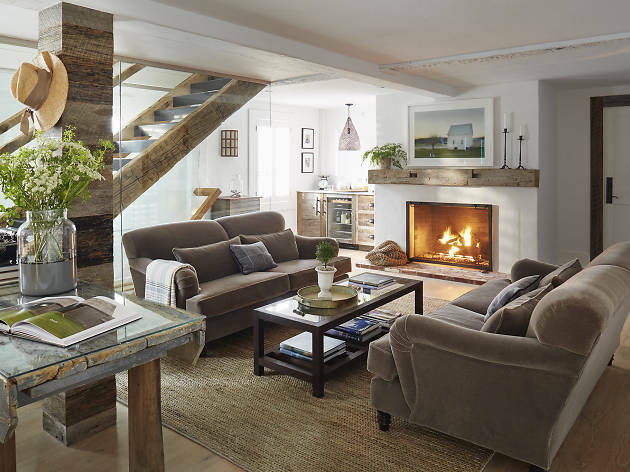 In Silvermine, the historic neighborhood of Norwalk where artists have flocked to since the early 20th century, a circa-1810 colonial has been reborn with a modern design aesthetic and a chill vibe. Opened in October 2017 by a talented local family (dad is the builder and mom and daughter handle interior design and marketing), GrayBarns had an earlier life in hospitality. 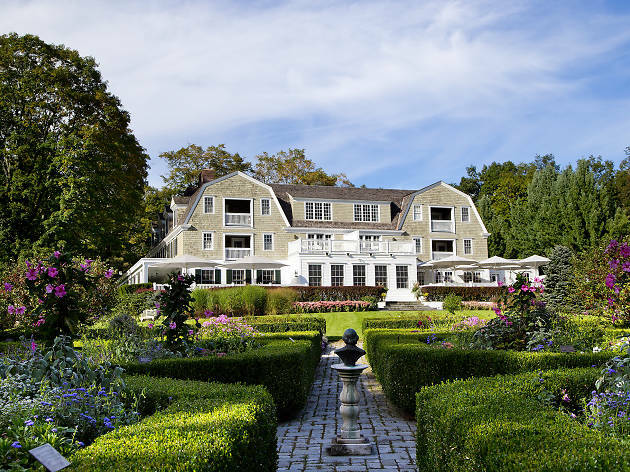 But this is not your grandparents’ country inn: Former guests like Elizabeth Taylor, who honeymooned here with Eddie Fisher, would not recognize the six king suites with their muted palette, custom-built furniture, Frette linens and Nest thermostats; some also have gas fireplaces and outdoor seating. No need to get in a car for dinner: The urbane Tavern at GrayBarns is next door. Plus there’s a daily pop-up bakery, free bike rentals and a free mini bar in every room. Why would you ever leave? Outdoor bar the Willow @graybarns opens May 29, and this fall, across the street, the inn will open Mercantile, a country store with more guest rooms on the second floor. In the northwest corner of the state and sitting on the town green, White Hart Inn was vacant for years. Built in 1805, it recently came beautifully back to life, thanks to a group of famous local residents. Three of the investors who helped turn the White Hart back into a destination hotel and a community gathering place are the former editor in chief of Redbook, Meredith Rollins; writer Malcolm Gladwell; and British chef Annie Wayte. The inn has several excellent dining options: a publike tap room, an upscale café called Provisions that sells sandwiches and the like, and the airy dining room, which specializes in locally sourced food. There are all manner of outdoor activities in the area, but if race-car driving is more your style, Lime Rock Park holds spectator events and lets the public on the course during scheduled programs. 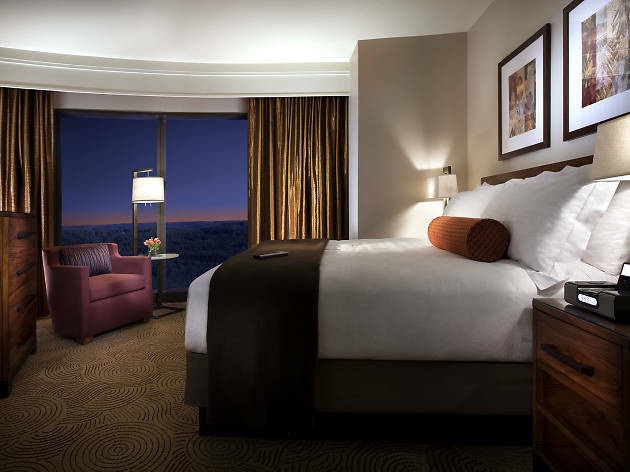 It may be hard to envision a romantic getaway in a megacasino, but stick with me. Picture floor-to-ceiling windows overlooking 2,000 acres of forest; a big soaking tub and a walk-in shower in a modern bathroom; a spacious, quiet bedroom. Endless entertainment—like 4,100 slot machines, big-name concerts, a golf course, a bowling alley, the impressive Mashantucket Pequot Museum and Research Center and miles of walking trails—are just steps away. 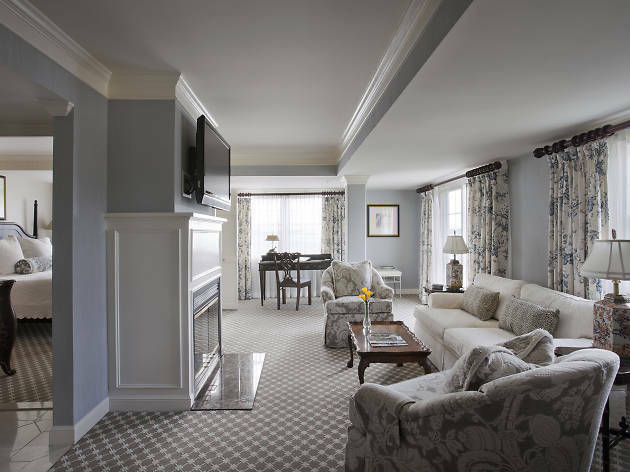 Four hotels are on-site: We suggest either the Grand Pequot Tower, which has 1,400-square-foot villas, or the Fox Tower, with its spa and a huge outdoor pool. Welcome to Foxwoods. Thrill seekers will want to check out the 3,750-foot zip line, on which you can zoom up to 60 miles per hour, and rides like the 10-story free fall Sky Drop and the human catapult Sky Launch, all in the Foxwoods Thrill Tower (go-kart racing is in the works). Near the Metro-North train station and I-95, at the mouth of Greenwich Harbor the Delamar is perfectly positioned for an easy weekend getaway. It sits at the foot of Greenwich Avenue with its high-end shops and restaurants, and across the street from the Bruce Museum. The hotel can hook you up with ferry passes to the town-operated Island Beach—you can see the ferry from your window—or arrange a private motorboat outing for you. All harbor-view rooms have balconies (some also have a fireplace and a soaking tub), or you can sit at an outdoor table in the restaurant L’Escale, which overlooks the harbor. 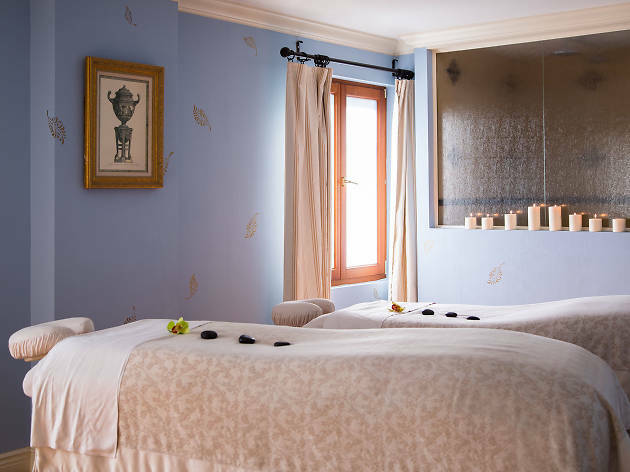 Book the couples’ massage at the hotel’s spa in advance; the room, which has a big walk-in shower, is in high demand. In a historic house in Belle Haven, a tiny section of Greenwich, Homestead is foremost known for its superb French restaurant, Thomas Henkelmann. 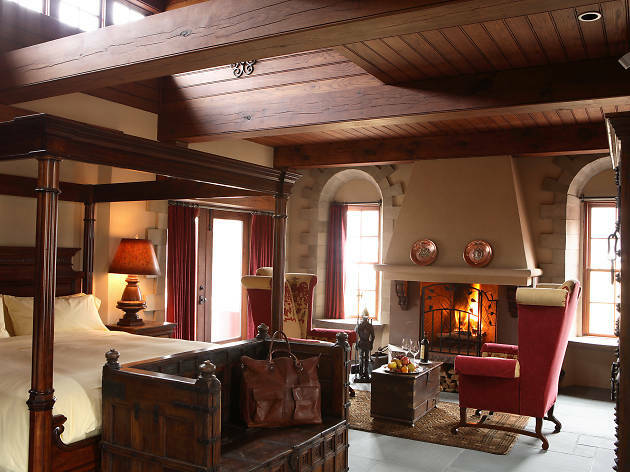 Jackets are required for gentlemen, and that formal atmosphere extends to the guest rooms, which are individually decorated with eclectic antiques and objets d’art from the owner Theresa Carroll’s travels. There are nine rooms in Manor House and nine in Carriage House, many sporting bold wall colors. Although charmingly decorated, some bathrooms are not as large and modern as one would hope. Hobnob with well-heeled local scions of industry, with a libation in hand, while sitting in a zebra-skin chair in front of the fireplace or in a white wicker chair on the Southern-feeling wraparound porch. Favorite rooms in Manor House are number 134, for its fresh blue and white decor; room 124, which has apple-green walls, gray velvet chaise longues and lots of windows overlooking the sculpture Hippo Ballerina that found its way to the inn’s lawn from Lincoln Center; and room 117 in Carriage House, for its rust-colored walls, Asian-themed decor and its own entrance straight onto the veranda. 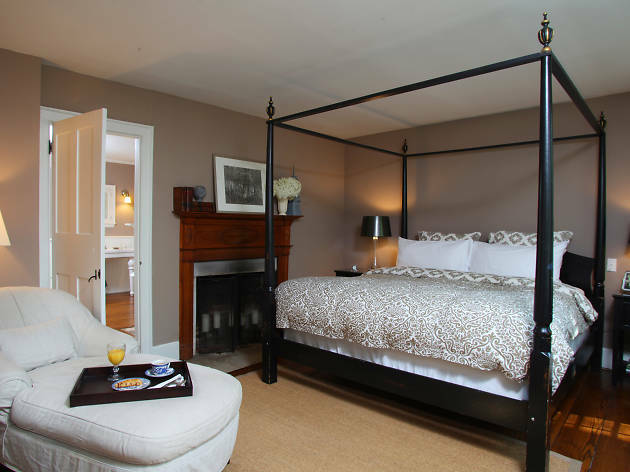 In between the town of Kent and the beautiful Kent Falls, this refined but very comfortable small Inn is in a historic district, which ensures that the area’s rural ambience remains intact. Several common areas are noteworthy: A sunroom overlooks the pool, two living rooms showcase fireplaces (one also has a piano), and there’s a kitchen and a dining room for guest use. Behind a cupboard door in the entryway is another nice touch: an honor bar. It’s hard to choose between the seven accommodations. 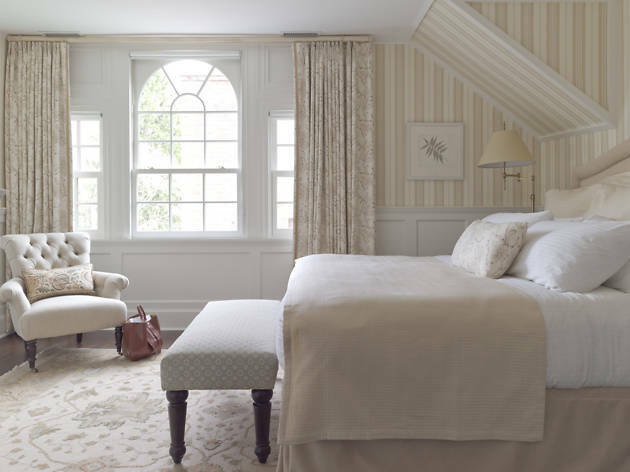 Favorites are the Gables Suite, which is a big attic loft space, and the Falls Suite, for its beckoning reading nook. There are wide floor boards and exposed beams throughout, as typical of a home from the 1700s. The inn is on the market. Any takers? Finally, an actual lighthouse you can sleep in. 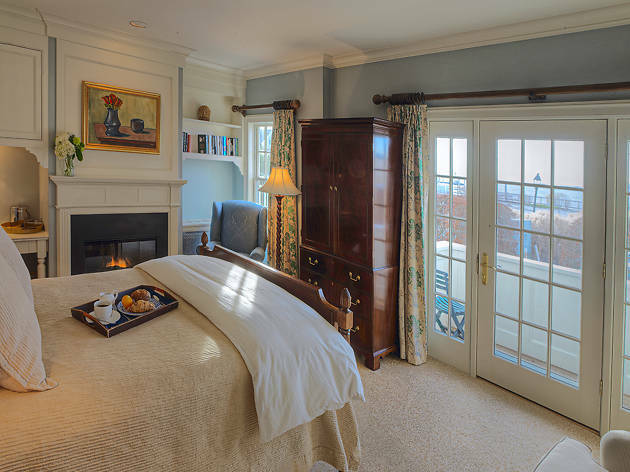 The pièce de résistance of the 100-room Saybrook Point Inn is the Lighthouse Suite (seasonal), at the end of the dock in the adjacent marina. Climb a short outside staircase to get to the one-floor, 900-square-foot space inside the lighthouse, with living and dining areas and a kitchenette. Across the street from the main inn are two homey guest houses that have communal spaces with pool tables. A spa, a year-round saltwater pool and the destination restaurant Fresh Salt add to the attractions. But the only accommodation with direct water views (without a parking lot in the foreground) is the Lighthouse Suite. 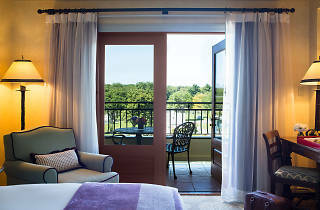 Amtrak stops in Old Saybrook, and the hotel will gladly pick you up. 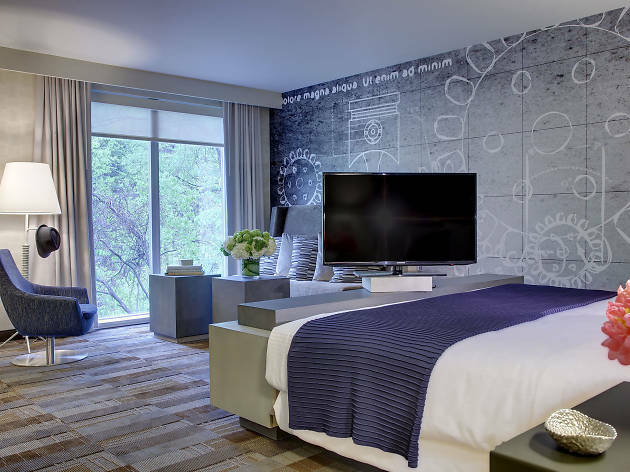 For an affordable, modern room with a view of a waterfall and treetops, book a Studio King Suite, which has a bathroom that sports a welcoming soaking tub, at this hotel. Once you’re inside and looking at the view, you will forget it’s on a busy commercial street. Thoughtful extras include a complimentary warm breakfast buffet and a rooftop lounge with Ping-Pong and pool tables. The rooftop is BYO and for hotel guests only. To mingle with the locals, take the complimentary hotel shuttle to downtown Norwalk (SoNo) and check out its restaurants, bars and shops. Adjoining the hotel, the popular restaurant Mediterraneo will retract its waterfall-facing glass wall in good weather. Order its signature grapefruit-based cocktail, the Don Johnson, and Zen out to the sound of rushing water.